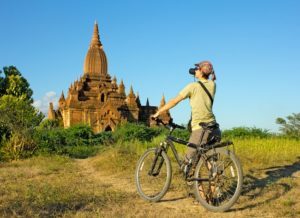 All travellers who have been won over by Burma will undoubtedly praise the country for its strong identity, architectural style representing many civilizations, and the lifestyle of its welcoming people. Despite its relatively smaller size, Myanmar is incomparable to its neighbours. Full of cultural and historical riches, you will be able to take a journey through Burmese history and culture. You will witness the culture appeal of Burma by visiting Bagan, Shwedagon Paya of Yangon, the royal cities around Mandalay and Yangon and the lakeside villages of Inle Lake. You will be able to relax on southern beaches or participate in more active treks through the jungle and rural Burmese villages. In order to appreciate Myanmar in all its splendour, be sure to visit between December and February when the climate is cooler and dryer. The Burmese health system is ranked among the most failing in the world. The half–century–long military dictatorship has left problems that the current government are still unable to resolve. Access to the most basic care is very limited, and there is a concerning lack of medical personnel. For instance, on average there is one doctor for every 3,400 inhabitants. Doctors Without Borders is the primary provider of primary health care in several remote areas such as Rakhine State. There is a sharp contrast between the quality of medical facilities in central regions and rural areas. In order to avoid unreliable drugs and treatment, you should ensure to travel with a well-stocked medical kit. In case of an emergency, dial 192 to get medical assistance. Is Myanmar (Burma) Safe for Travel? Do I Need a Visa to Visit Myanmar (Burma)? Both, a visa and a passport are required to enter Myanmar (Burma). The passport must be valid for at least six months beyond the date of departure. Once approved, the visa should be used within three months. The official approval letter needs to be presented in order to enter Myanmar.